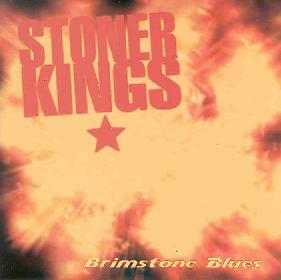 Stoner Kings - "Brimstone Blues"
Stoner Kings hail from Uilppula, Finland and I sure wish they had chosen a different name. The first thing, they don't really fit the Stoner rock label, as this is more just straight heavy-hard rock sounds with some good melodies. A heavier version of the Hellacopter style of bands. The music carries a lot of attitude baggage a long with it, some good and some bad. Some of the material on the CD reminds me of the Spiritual Beggars at times but without the metallic guitar sound and as strong songs. Yeah... these guys rock and roll but it just did not rock my world, maybe yours???????????? For more information you can visit the Stoner Kings web site at: http://www.stonerkings.net. Email the Stoner Kings at: stonerkings@nic.fi. Contact via snail mail c/o Stoner Kings; PO Box 1288; 00101 Helsinki; Finland.